CURRIER, JOSEPH MERRILL, lumberman, businessman, and politician; b. in 1820 in North Troy, Vt, seventh son of Ezekiel Currier; m. in 1846 Christina Wilson, and they had one son; m. secondly in 1861 Anne (Annie) Crosby (she died later that year); and m. thirdly in 1868 Hannah (d. 1901), daughter of Ruggles Wright of Hull, Que. ; d. 22 April 1884 in New York City. Joseph Merrill Currier, a Presbyterian of French Canadian descent, obtained some education at North Troy before moving to Canada in 1837. He entered the lumber trade in the Ottawa valley as an employee. Later he managed Levi Bigelow’s mills at Buckingham (Que. ), and then the lumber business of Thomas McKay* and John McKinnon in New Edinburgh (now part of Ottawa), where he made his home. About 1850 he entered into partnership with Moss Kent Dickinson*, a prominent forwarder, lumberman, and politician, and they built a sawmill and grist-mill complex at Manotick, Canada West, which supplied sawn lumber for the American market; Currier withdrew from the firm in 1863. In addition Currier had a lumber business of his own at New Edinburgh on the Rideau River from 1853 until he sold out in the late 1860s. He was also a partner in the firm of Wright, Batson and Company (later Wright, Batson and Currier) of Hull. In 1868 this firm constructed a steam sawmill in Hull and by 1871 was producing 30 million board feet of lumber annually. Currier had extensive business interests beyond the lumber industry. From 1872 to 1877 he was president of the Citizen Printing and Publishing Company, which owned the Ottawa Daily Citizen, although it did not control the paper’s editorial policy. He moved to incorporate this firm in 1873. He served as president of the Ottawa and Gatineau Valley Railway Company and of the Ontario and Quebec Railway Company, and as a director of the Ottawa City Passenger Railway Company [see William Goodhue Perley]. Currier was also involved in the Upper Ottawa Improvement Company, in the Victoria Foundry with Horace Merrill, and in “a host of other enterprises,” including tannery, insurance, and banking companies. During the mid 1870s, however, his business career foundered and by 1878, when the Wright, Batson and Currier mill burned down, he was, according to his friend and colleague, Alonzo Wright*, “hopelessly bankrupt.” He managed, nevertheless, to retain the house he had built in 1868 at 24 Sussex Drive, Ottawa, which eventually became the official residence of the prime minister of Canada. In 1873 he had been made president of the Ottawa Valley Immigration Society. 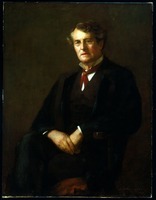 Although Currier was devoted to the interests of the people of Ottawa, he was “one of the silent kind” and not particularly active in the legislature. His interventions in debate were usually short and concerned with a small number of matters. Anxious to see Ottawa an effective capital, during his first session in 1863 he moved a resolution calling for the speedy completion of the parliament buildings. Over the years he regularly showed his concern with various business enterprises as well as Ottawa River shipping and the lumber trade. Although a Presbyterian, Currier was solicitous for his Roman Catholic supporters, and in 1875, when advocating relief for New Brunswick Catholics who were being denied the right to their own schools, he stated in the House of Commons that they should not be refused “the same privileges and laws that the Protestant minority in Quebec and the Roman Catholic minority in Ontario, enjoyed.” Two years later he supported the reading of prayers in the House of Commons in both English and French. 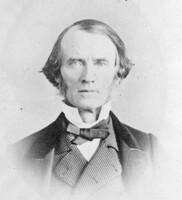 On 16 April 1877 Currier resigned his seat as a result of a violation of the “independence of parliament” act, revealed to the house by Liberal Wilfrid Laurier*. The ensuing debate about sales agreements between the government and several firms to which Currier belonged reveals that the violation was only technical, and the Liberal high command was motivated by partisan interests. Currier explained that “the firm of T. W. Currier & Co. (of which I was at that time a partner, though not an active one) on 21st May 1874, received an order from the Director of Penitentiaries for goods . . . which were supplied in June, 1874. . . . I also find that the firm of [Batson] & Currier, of which I am a member, fulfilled several small orders for lumber for the Library of Parliament . . . , but in each case without my personal cognizance.” In a vigorously fought by-election on 9 May 1877, Currier was re-elected, but he was unable to pay his election expenses and a disgruntled Conservative organizer was left $700 in arrears. 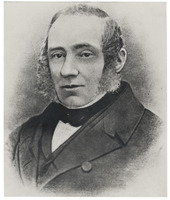 Upon the return of the Conservatives to power in 1878, an attempt was made to secure a cabinet post for Currier. Alonzo Wright suggested to Sir John A. Macdonald* that Currier was in “a difficult plight” because of his bankruptcy and should be given a “refuge” in the form of a cabinet seat. Joseph Tassé*, Currier’s fellow member of parliament for Ottawa, strongly urged his colleague’s claim: “Mr. Currier has made large sacrifices for the party, and his appointment as minister would be generally well received.” Currier was apparently convinced that he was about to receive his political reward, but he was wrong; he never did serve in cabinet. He did not contest the election of 1882. On 23 May 1882 he was appointed postmaster of Ottawa, a position he held until his death. Joseph Merrill Currier, an immigrant with little formal education, became a highly successful businessman until his difficulties in the mid 1870s. Undistinguished as a politician, he was really a businessman in politics, a loyal Conservative who received his patronage reward when in need. Politics for Currier was thus a successful form of bankruptcy insurance. PAC, MG 24, B40; MG 26, A; MG 27, II, D14. Can., House of Commons, Debates, 1875–82. Free Press (Ottawa), 22 Nov. 1878, 22 April 1884. Ottawa Daily Citizen, 11 Nov. 1873; 12 Jan. 1874; 23, 25 April 1884. Canadian directory of parl. (J. K. Johnson). CPC, 1873. Dominion annual register, 1884. J. W. Hughson and C. C. J. Bond, Hurling down the pine; the story of the Wright, Gilmour and Hughson families, timber and lumber manufacturers in the Hull and Ottawa region and on the Gatineau River, 1800–1920 (Old Chelsea, Que., 1964). Swainson, “Personnel of politics.” H. [J. W.] and Olive Walker, Carleton saga (Ottawa, 1968). Donald Swainson, “CURRIER, JOSEPH MERRILL,” in Dictionary of Canadian Biography, vol. 11, University of Toronto/Université Laval, 2003–, accessed April 24, 2019, http://www.biographi.ca/en/bio/currier_joseph_merrill_11E.html.